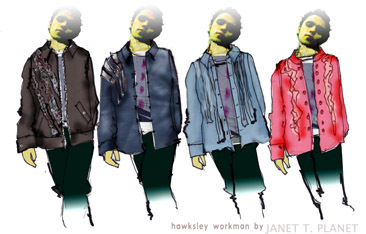 JTP worked with Hawksley Workman to create stage looks for his LOVER/FIGHTER World Tour in 2003/4. Workman wears JTP on his LIVE IN LILLE DVD – see excerpt below. Hawksley made a guest appearance as a model in JTP’s NOW Collection show at Fashion Week.